We often think of Statistical Process Control as a tool to help drive product quality by informing us when process changes occur. By systematically detecting (and rectifying) sources of special cause variation upstream in the process, the important process outcomes become predictable. Furthermore, a focus on reducing common cause variation drives higher levels of process capability and more consistent product performance. So how does process control (or the lack of it) affect product reliability? 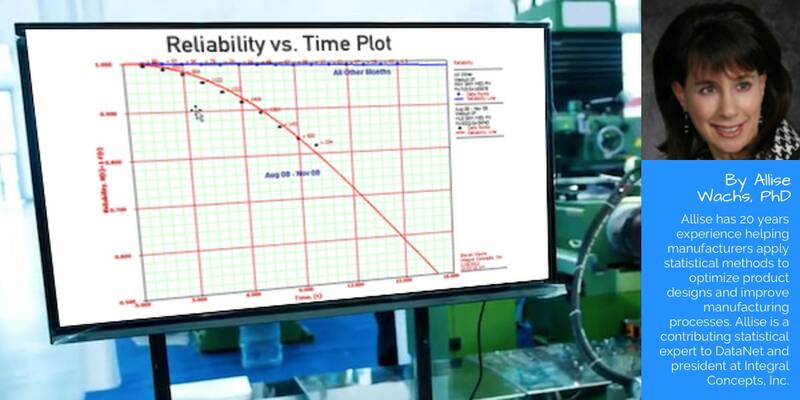 Reliability is defined as the probability that a material, component, or system will perform its intended function under defined operating conditions for a specified period of time. The importance of reliability methods differ by industry.